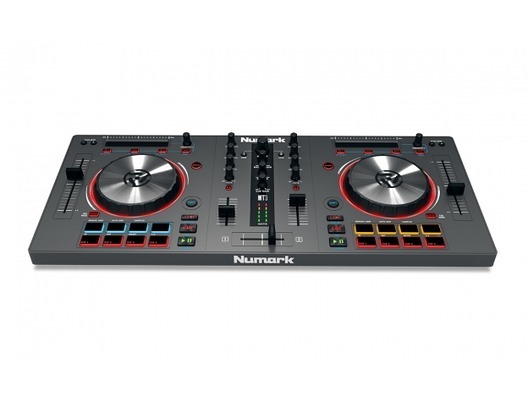 The Numark Mixtrack 3 has been designed with the skilled, professionally-aspiring DJ in mind, and offers a multitude of features and performance attributes that sets it above the entry-level class of product, yet offers extraordinary value and easy transportability. 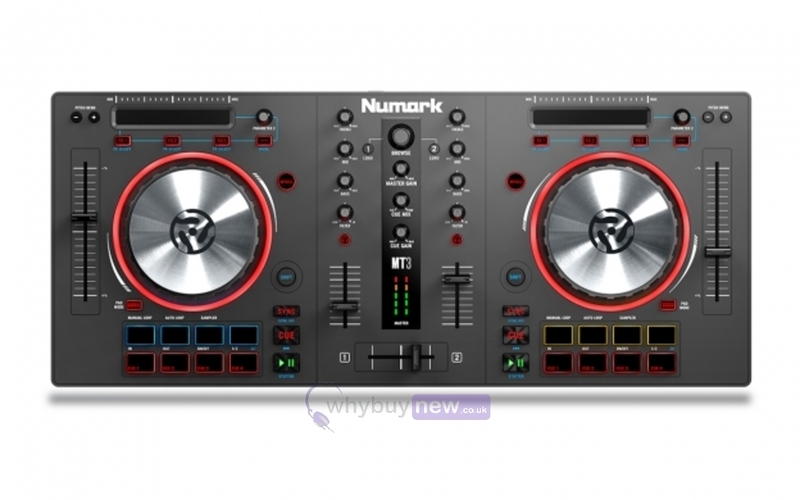 This controller offers a whole host of features and performance that sets it way above conventional DJ controllers, yet it offers great bang-for-the-buck and its a snap to take anywhere. When action is non-stop, we make sure you're the one in the drivers seat. We give you the horsepower to get it done. Mixtrack 3 will never let you down. We've kept everything you loved about the Mixtrack II, but now theres even more. How's this we give you 100mm pitch sliders that make it easy to perform even the finest pitch adjustments, so its easy to keep two cuts in perfect beat sync without any drift. Other peoples 60mm pitch sliders cant come close to matching this performance. We make you look and sound great! Get precise control over every track and every transition with Mixtrack 3s advanced low-profile rugged metal platters. They are capacitive and dual-zone, giving you the ability to scratch or stop a track simply by touching the top of the platter, while at the same time allowing you to adjust the pitch by manipulating the platter from the side. Heavy-duty metal stands up to the hottest action, night after night. Start mixing right away with the included Virtual DJ LE software you can create professional-sounding mixes at home or easily upgrade to Virtual DJ Pro for performing live at parties, functions and clubs. Plus, Mixtrack 3 operates via standard MIDI, so its compatible with virtually any popular DJ software. 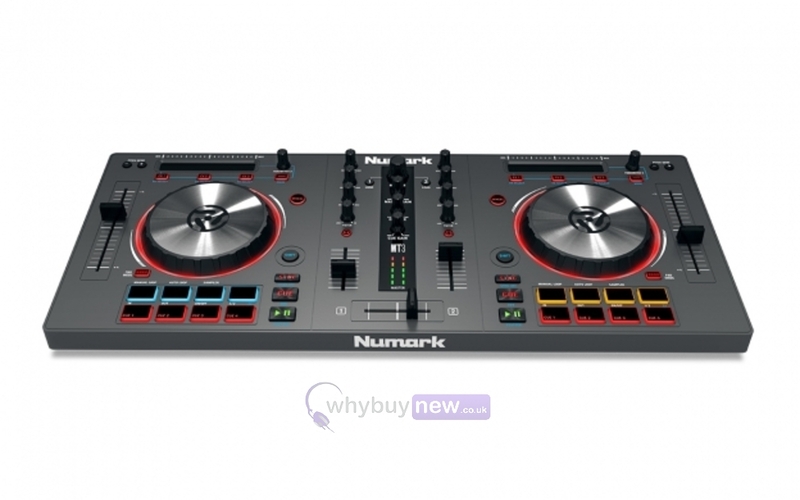 Here we have the Numark Mixtrack 3 DJ Controller in brand new condition and in B-Stock. The B-Stock versions would have been on display at a training evening or trade exhibition only and will come boxed 'as new' with all accessories and a 1-year warranty.